The Book of Jonah ends with God asking three questions. Jonah is angry enough that he wants to die, a seemingly hyperbolic statement, and yet spoken by one who “died” in that he was in the belly of the fish, which is to say, Jonah knew what death meant when he declared that he would rather die. To this declaration, God asks if it is right for Jonah to be angry. Why is Jonah angry? At the beginning of the book, Jonah flees God’s imperative, and the reason given later in chapter 4 by Jonah is that he knew God would forgive Nineveh. Jonah is angry because he knew God would forgive. Does he have a right to be angry? Seemingly not when he himself is the beneficiary of God’s mercy. Jonah worships God in chapter 2 for His great mercy, and then is furious when God is merciful to others in chapter 3. 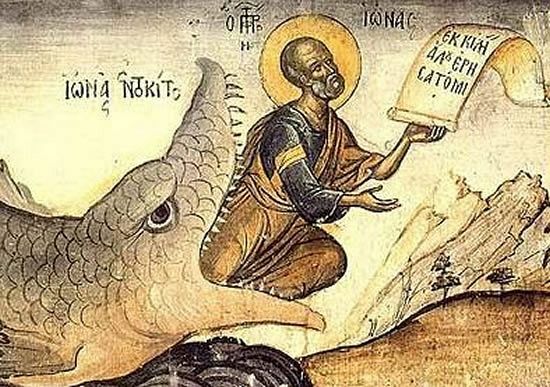 The second question comes after God provides an object lesson in the form of a plant, to which Jonah grows attached only for it to shortly be eaten by a worm and subsequently fail to protect Jonah from the harsh wind and sun. Jonah did not give an answer to God’s first question, at least verbally, instead going from the city to see what would happen. Like Nathan asking King David about sheep, God seems to be resetting the logic of the situation: it is the same question as before, but disguised. God asks Jonah if it is right for him to be angry about the plant. Jonah declares that not only should he be angry about the plant, but that he is angry enough to die. This shows an inconsistency within Jonah’s worldview as the third question then reveals, that he has mercy on a plant but not a city. The final question comes as God compares the plant with the city of Nineveh. Nineveh is shown to be of greater worth than the plant, and God asks whether or not He should have mercy upon the city? The story ends on this question. Looking to the whole story for an answer, God’s character seems to be revealed with a resounding affirmative to this inquiry. Already we know from the end of chapter three that God relents from destroying Nineveh, but more so, God relents from destroying the ship, and God relents from destroying Jonah within the fish. The Book of Jonah shows that God is not some sort of cosmic hammer of justice looking for a sinner to peg, but a God who loves, who in Jonah’s heated words in chapter 4 relents, is slow to anger, is gracious and merciful.